When Subaru started manufacturing and selling its compact sedan, the Impreza, customers could opt for an off-road package on it. With time, however, that package was spun off into a standalone vehicle named the Crosstrek. 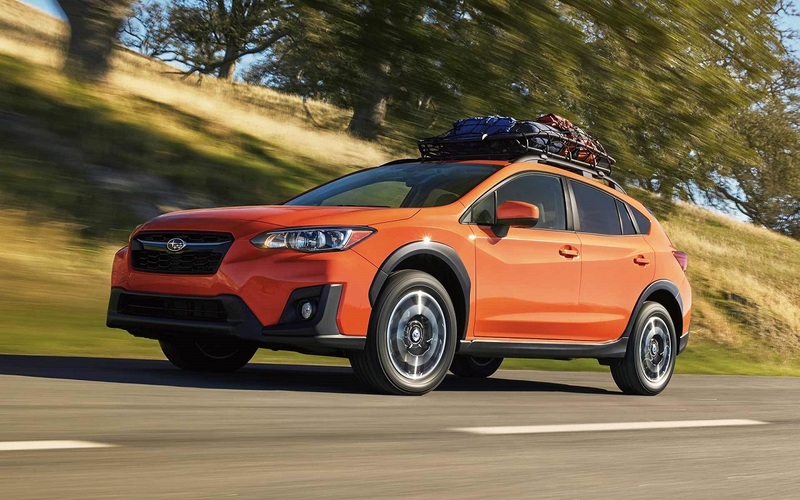 For the 2019 model year, the Crosstrek's fourth, Subaru implemented refinements as the crossover continues in alignment with its cousin's fifth production cycle. 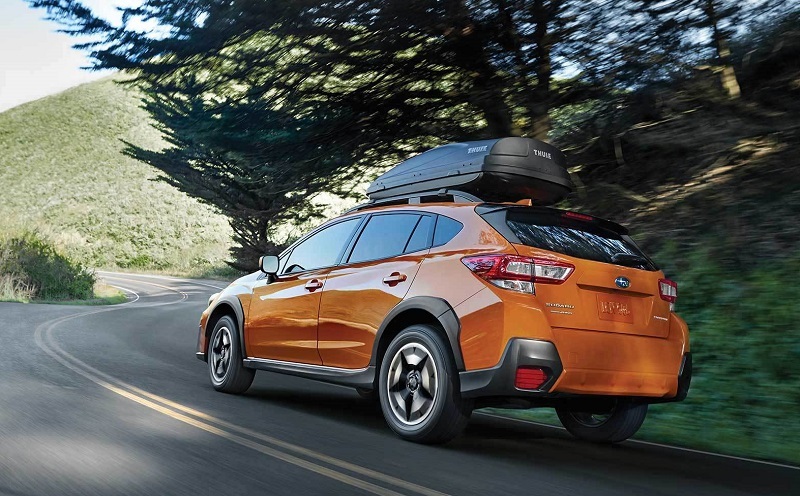 The 2019 Crosstrek is split into a base-level model, the mid-tier Premium trim, and the top-of-the-line Limited variant. For its exterior features, the 2019 Subaru Crosstrek starts with power-folding side mirrors, multi-reflector halogen headlights, a roof spoiler, raised roof rails, and 17-inch black machine-finished alloy wheels. On the Premium, the headlights can automatically switch on or off in response to the amount of outdoor light, and fog lights accompany them for illumination that penetrates further into the distance. 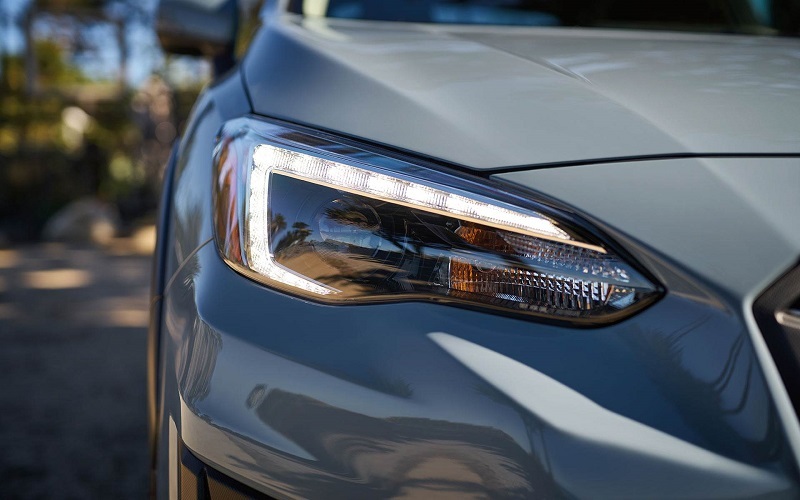 On the Limited, Subaru replaces the halogen bulbs with LEDs for brighter and longer-lasting lighting, and they move in response to the direction of steering for improved illumination accuracy. Also exclusive to the Limited are turn-signal indicators on the side mirrors and a set of 18-inch black machine-finished alloy wheels. The new 2019 Crosstrek is a two-row vehicle with enough seating for up to five people. Passenger volume is measured at 100.9 cubic feet, and cargo volume is set at 20.9 cubic feet with the option of folding down the rear seats for expansion into the cabin for a total of 55.3 cubic feet. A leather-wrapped steering wheel with orange stitching, front-seat heating, and orange stitching on the cloth seat trim appear if you go with at least the Premium. On the Limited trim, Subaru switches cloth with leather (complete with orange stitching) and introduces 6-way power adjustability on the driver's seat. Amenities on the crossover include electronic cruise control, four-speaker audio, STARLINK™ infotainment integration, a 6.5-inch LCD touchscreen, AM/FM radio, Bluetooth® for hands-free phone operation and audio streaming, Apple CarPlay™ and Android Auto™ for smartphone-based control, a USB port and auxiliary audio jack for connecting mobile devices, and a monochromatic multifunction display. The Premium also gets a retractable and removable cargo-area cover, a 4G LTE Wi-Fi hotspot, a single-disc CD player, two additional speakers, and trial subscriptions to SiriusXM® Radio and Travel Link. Exclusive to the Limited are a color multifunction display (instead of the monochromatic one), keyless entry with push-button engine start, steering wheel-mounted paddle shifters, an additional USB port, HD Radio®, and an 8-inch LCD multi-touch-gesture screen (in place of the 6.5-inch touchscreen). The four-wheel independent suspension on the new 2019 Crosstrek comprises a strut-type front suspension and a double-wish bone rear one with stabilizer bars. Completing the chassis are four-wheel disc brakes for optimal stopping distance shortening and electric power-assisted rack-and-pinion steering for precise turning and cornering. All-wheel drive is standard on the new 2019 Crosstrek to maximize all-weather driving capability. Powering the crossover is a 2.0-liter horizontally opposed 4-cylinder (H4) with 152 horsepower and 145 lb-ft of torque. A 6-speed manual transmission is installed on the base-level and Premium trims. On the Limited, however, Subaru introduces a continuously variable transmission, which eschews gear shifting for a more convenient and smoother driving experience. Also exclusive to the Limited is X-MODE®, a technology that optimizes engine output and transmission ratio, increases the engagement of the all-wheel drivetrain, and relies on the vehicle's dynamic control system for reducing wheelspin. For restraint and cushioning when there's a crash, the new Crosstrek provides two front impact airbags, a driver's knee airbag, two side impact airbags, and two side curtain airbags. Also standard are electronic vehicle stability and traction control, an anti-lock braking system, brake assist, electronic brake-force distribution, brake override, a rear-vision camera, and daytime running lights. The security system combines keyless entry with an engine immobilizer. 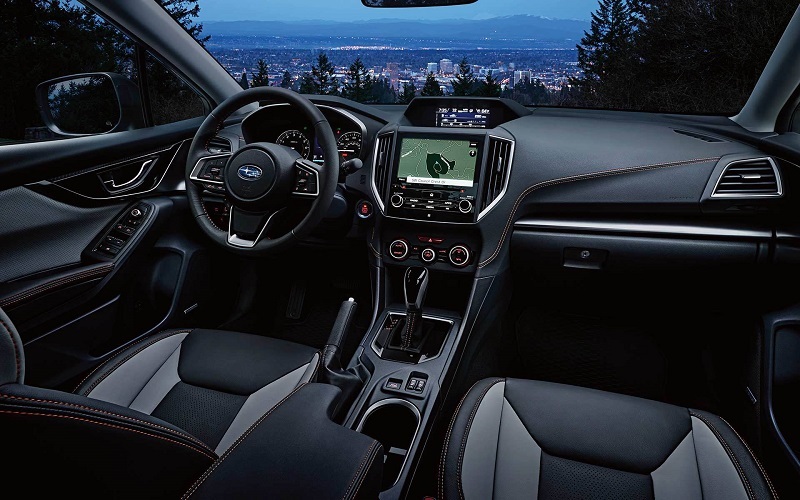 If you upgrade to the Premium, Subaru will add the STARLINK™ and Security suite of services and functions that include automatic collision notification, SOS emergency assistance, remote engine start with climate control, and roadside assistance. The Limited stands alone with high beam assist, blind-spot detection with rear cross-traffic alert, hill descent control for safe driving down a slope, and reverse automatic braking. Also exclusive to the Limited is EyeSight®, which is a driver-assist technology suite that combines adaptive cruise control, pre-collision braking, lane departure and sway warning, and lane keep assist. Ready for a test drive of the 2019 Subaru Crosstrek near Longmont CO? Then contact Flatirons Subaru, which is known for serving Longmont Denver Boulder Thornton shoppers. Located in Boulder, which is a short drive from Longmont, our dealership is known for serving Longmont Denver Boulder Thornton shoppers with high-quality service and the 2019 Subaru Crosstrek near Longmont CO. So, contact Flatirons Subaru, which is a short drive from Longmont today. Once you contact Flatirons Subaru, one of our Subaru sales experts-which are a short drive from Longmont and are known for serving Longmont Denver Boulder Thornton customers-will be around to work with you.